Cottage in Brent Knoll Nr. Burnham-on-Sea, Somerset, England - Great location for exploring all of the attractions Somerset has to offer! This quaint beautifully refurbished cottage sleeps 4 people comfortably with one double and one twin room both of which are light and airy. It is located in the pretty village of Brent Knoll next door but one to the ever popular Red Cow Pub. The cottage itself has everything you would hope for including a large living area with comfy seating, entertainment and Wifi. The separate kitchen, dining and utility area makes up the heart of the property. The main upstairs bathroom and downstairs shower room are both newly refitted and ensure there is no fighting for the bathroom each morning. The cottage has a self contained and secluded rear garden with table and chairs and a patio area. The cottage also has sufficient off road parking for two vehicle. Hi, we are Tim & Paula. We currently live on the outskirts of Guildford in Surrey and both work in the Leisure industry, coaching tennis and in Paula's case Zumba too!! Although now living in Surrey, Paula grew up and spent most of her life in Somerset and has family in and around the villages local to our cottage and still has a very close attachment to the area, we're very frequent visitors to the area, much more so since we've spent time renovating the cottage which has now become our 'home from home' In our spare time we love to travel and see as many different countries as we can and we appreciate finding tranquil and friendly places to kick back, relax and unwind and we hope we have created this environment at Peggy's Place. The cottage originally belonged to Paula's late 'auntie Peggy', hence our affectionate name for Leigh Cottage. The cottage was left to Paula and her brothers and in 2012 following Peggy's passing we decided to buy out the cottage. It has since been a labour of love renovating it and we hope that those who choose to stay with us will love it as much as we do. The cottage is in the pretty village of Brent Knoll, just 5 minutes off the M5 and easily accessible from all areas. It's just 2 doors down from the popular Red Cow pub, which serves excellent food and drinks. it also has great walks right from the front door. The cottage is very conveniently located for exploring all the attractions in and around Somerset and the South West including the Cheddar Gorge, Wooky Hole, Weston Super Mare, Wells and is only 30 minutes from Bristol and an hour from Bath. The cottage itself has been fully refurbished to a high standard, offering everything you could wish for in a home away from home. With a large living room, comfy sofa and plenty of space to relax. The kitchen and utility have all the 'mod-cons' you could wish for including a range cooker and dishwasher. The bedrooms are light, airy and well appointed with plenty of wardrobe and storage space. The newly fitted upstairs bathroom and downstairs shower room also ensures that they'll be no need to fight for the bathroom!! Upstairs bathroom has a large bath with douche shower, WC and large sink. Downstairs shower room has electric shower, WC and hand basin. The large and spacious living room houses a large comfy 5 person corner sofa and additional swivel chair. There is a 43'' plasma tv with Freeview and DVD player. The stone fireplace is the main feature of the room. Wifi is also available. The newly fitted kitchen has a Range cooker and extractor at its heart with fitted fridge / freezer, dishwasher and Belfast Sink and Drainer together with all other necessary kitchen appliances including a microwave in the utility. Hopefully not! But for those that are keen there is a dry ski slope at Churchill. There are many golf courses local to the cottage including Burnham & Berrow, Brean, Weston Super Mare and Cannington. There is also a driving range at Highbridge. Notes on accommodation: Please note: Much as we love pets ourselves, we do not unfortunately allow pets at the cottage as a number of our guests have allegies to animal hair. Outside: The secluded back garden has a small gravelled patio area with table and chairs to seat 2 persons. a second table and chairs seats four. A BBQ is available for the use of our guests and there are two sun lounging chairs are also available. Utility Room: The utility houses additional kitchen storage and a washing machine for those who feel the urge to do laundry whilst away. An iron & ironing board are located in the hall cupboard. Cleaning / Towels / Linen / Maid service: All bedding and towels are included but we please ask that you bring you own beach towels. Bedding will be changed on a weekly basis for those staying more than one week. Cleaning services will take place weekly, on changeovers or by prior agreement Other: The light and spacious diner attached to the kitchen has a dining table and chairs able to comfortably seat 6 persons and overlooks the secluded rear garden. We were very pleased to be able to use Peggies place as our home for a few days. We were very comfortable and relaxed thank you. The cottage has all you could wish for. Great cute property in a great location. Good features and plenty of space for a small family. Brent is a nice village with a great pub that does take away food. 10 mins from my Mums so easy access and close to Weston and M5. Small but well set out in terms of separate lounge and then a good kitchen with dining area. Downstairs separate utility area and toilet / shower is also a good feature. Everything worked well and cottage did warm up eventually after arriving in minus conditions to find heating off but this is a standard feature of the property but could be considered in cold conditions. Other than that we loved it and will definitely stay again when we return to the UK. Very well equipped cottage with a lovely garden, perfect for a quiet mid week break. Still waiting however for our deposit refund. We thoroughly enjoyed our stay at Peggy’s place. 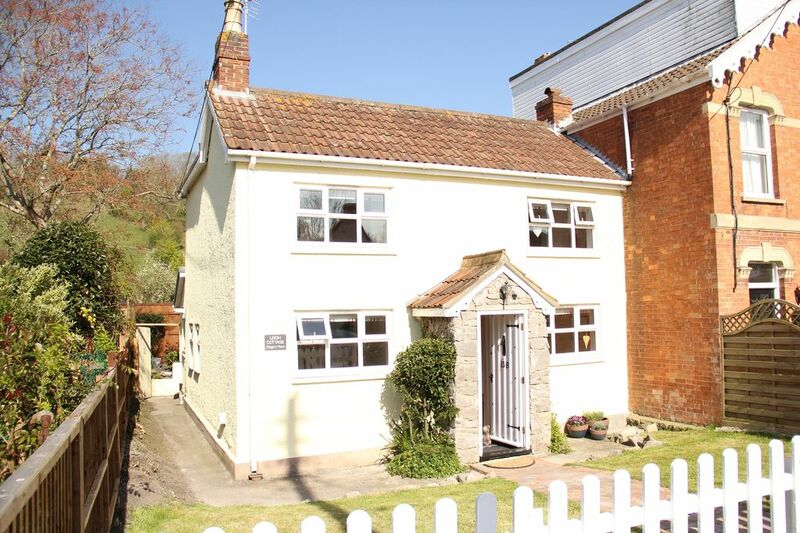 A beautifully presented cottage and well maintained. Lots of lovely walks surround the cottage and the location is great for visiting nearby attractions. Burnham on Sea is a 10 minute drive, Weston Super Mare is 15 minutes. Bristol airport is a 30 minute drive and if travelling from London / Surrey, journey times are approximately 2 - 2 1/2hrs traffic permitting. Booking Notes: For bookings and availability enquiries please contact Tim or Paula on the numbers / e-mails shown. A deposit of 50% is required at the time of booking with the balance for the booking and refundable security deposit of £200 payable 14 days prior to arrival. Confirmations of the booking will be sent out on receipt of the deposit and a 'welcome' pack on receipt of the balance. Changeover Day: Fridays during school holiday periods and on both a Friday and Monday out of main school holiday seasons (for 3 / 4 day bookings). Some flexibility may be possibly dependent on bookings. The property is available from 4pm on arrival day. Checkout 10am. Notes on prices: During holiday periods the cottage is only available for 7 day periods. Out of the main holiday seasons the cottage can be booked Friday - Monday (3 nights) and Monday - Friday (4 nights).